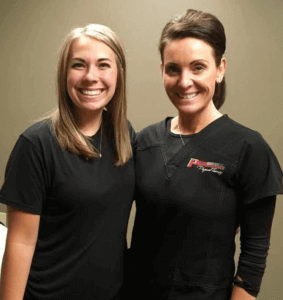 Jill, words cannot express my gratitude for your exceptional care. From my very first appointment with you, I immediately knew you were someone I wanted in my corner. Your knowledge on Ehler’s-Danlos Syndrome is far superior to anyone else I’ve met, including the physician that diagnosed me. You immediately established a holistic plan of care, not just one specific to one area of my body. Over the last five years, I’ve been suffering from a New Daily Persistent Headache, which countless physicians, neurologists, physical therapists, chiropractors, acupuncturists, massage therapists, and psychologists could not determine the cause. It wasn’t until recently, with your help, my neurologist was able to conclude the headache is caused by the hypermobility in my neck due to Ehler’s-Danlos Syndrome. Without you, this diagnosis probably wouldn’t have ever been made. Over the past year of being in your care, I’ve learned so much about this connective tissue disorder and how to appropriately train, eat, rest, and take care of my body. I swear, every single visit, I learn something new from you. The most important thing you’ve taught me is that I am different, and I cannot train and partake in the rigorous activities like my peers. I continue to improve every day because of your vast knowledge, guidance, and continued support. Before I was under your care, I was in and out of physical therapy for 10 years from what I thought to be random injuries, but that physical therapist did not treat me as a whole, he simply looked at that one injury; therefore, allowing me to continue to train improperly, damage myself further, and continue to be misdiagnosed. You, on the other hand, understand my condition affects every part of me, physically and psychologically.